Nina Dobrev’s Movie, “Run This Town,” Appearing at SXSW! 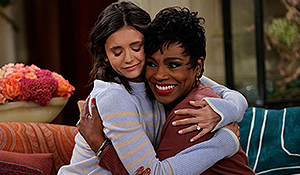 The world premiere of Nina Dobrev’s upcoming new movie, Run This Town, is slated to debut at this year’s South by Southwest media festival according to EW. Also known as SXSW, the annual event takes place each.year in Texas. The official schedule has not been released yet but we’ll make sure to post it as soon as it is. Check out the brief synopsis for the film below.